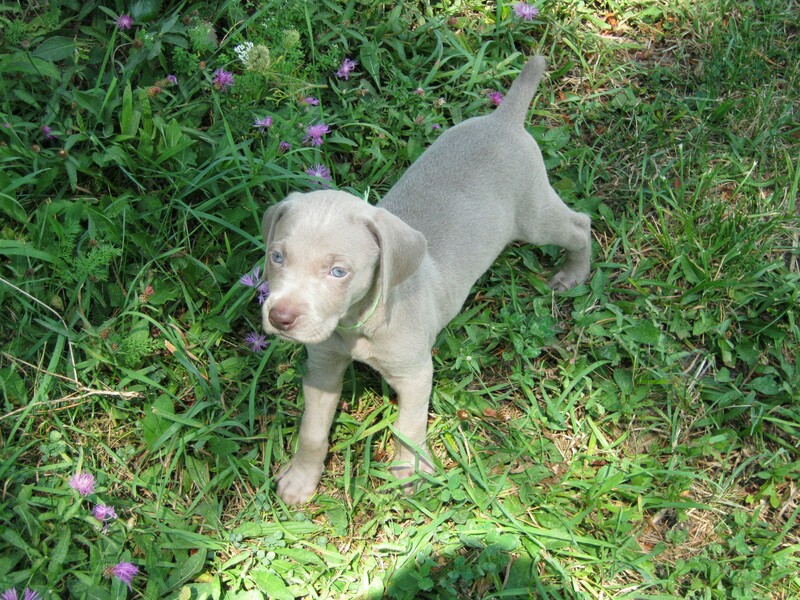 This Silver Gray girl has a fantastic conformation and easy going personality. She is athletic and fun with a solid build and pretty face. Sired by AKC show Champion Ch. Stop 2 Smell Th' Roses who is not only a champion himself, he is also a champion producer. A Grandson of the famous "Ch. Camelot's Go For The Gold" he boasts OFA Excellent hips to compliment his super personality. He is a guardian and a teddy-bear all in one! He and the litter dam, Grouse Ridge's Delight live in our home with our family. 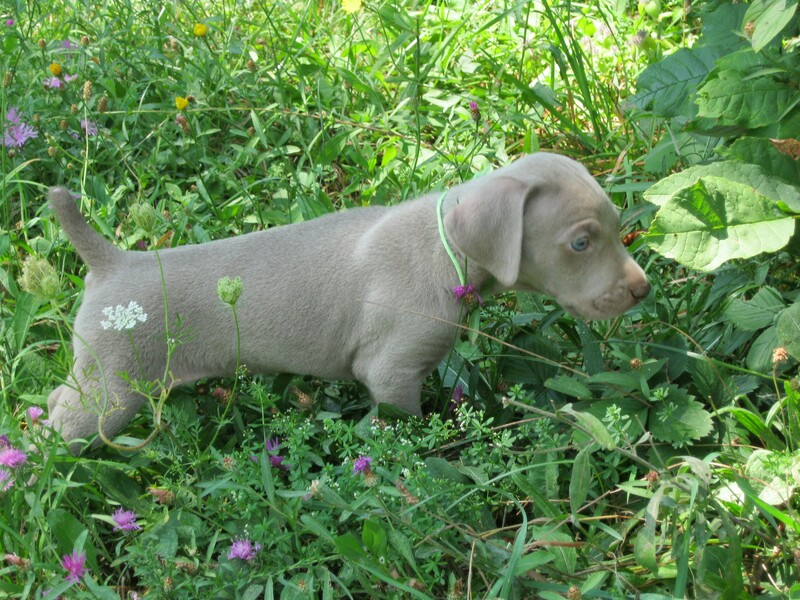 Her hips were in the 70ith percentile (click here for report) for the Weimaraner breed and measured quite tight via PennHip. 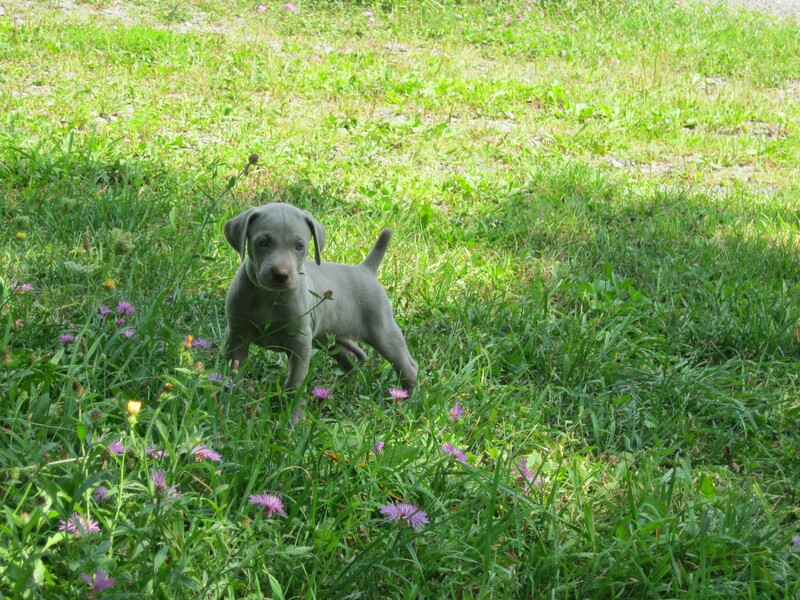 Lila is not only "mom" and our family guard dog, she is also my husband's devoted hunting partner.